On Good Friday this year I took the opportunity to visit Lake Albert with my wife and two daughters. An artificial lake in the southern Wagga suburb of the same name, it is a virtual cesspool riddled with blue-green algae, rendering it mostly incompatible with human activity. 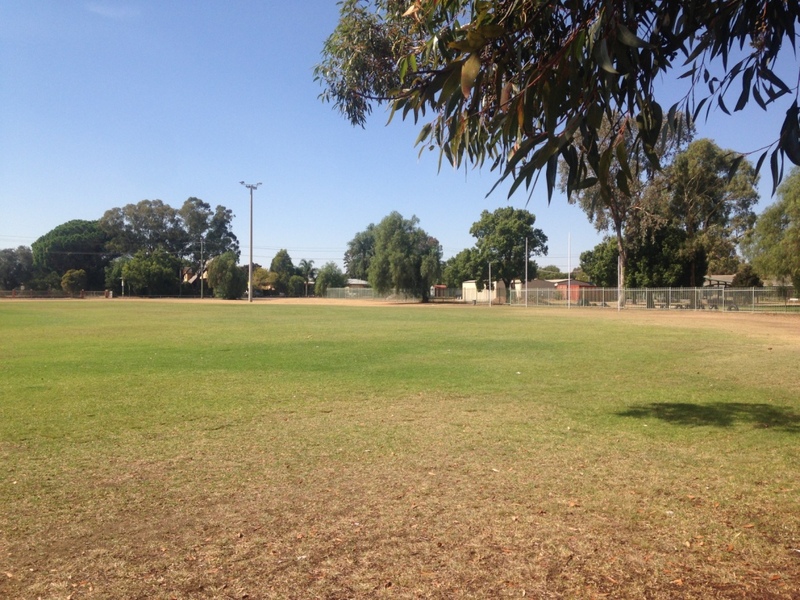 It is surrounded, though, by Apex Park, which sports a fantastic playground and extensive parklands. So, it isn’t a completely worthless destination for a public holiday sojourn. While the children occupied themselves I wandered 50 metres up the hill away from the beautiful water to the local footy ground and was instantly transported back to a simpler time. 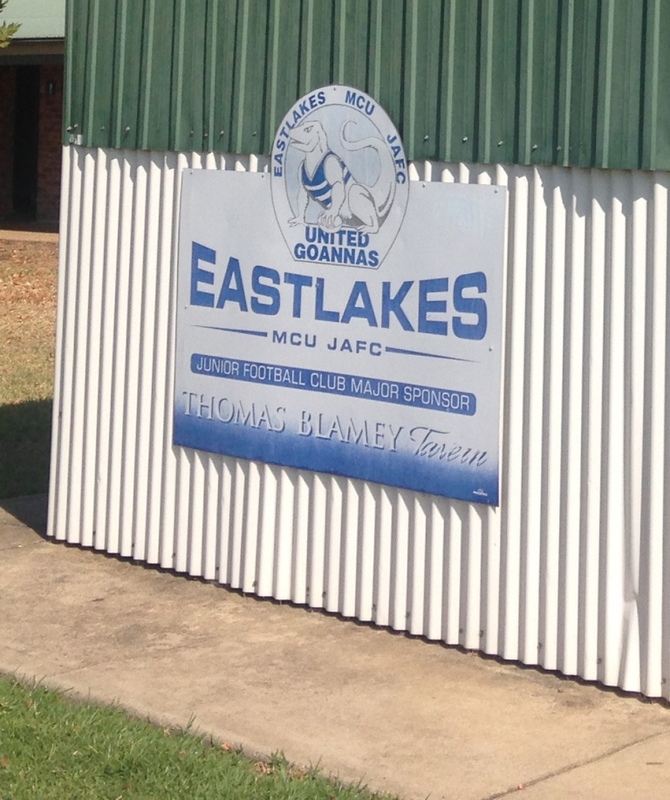 The Apex Park footy ground is home to the Eastlakes/MCU Junior Football Club and is one of only a couple of grounds in town that is exclusively used for junior footy. As such, it is comfortingly short on adornments. Unlike footy grounds that host senior clubs that have sponsors’ signs covering most of the boundary fence, Apex Park has no boundary fence to speak of at all. 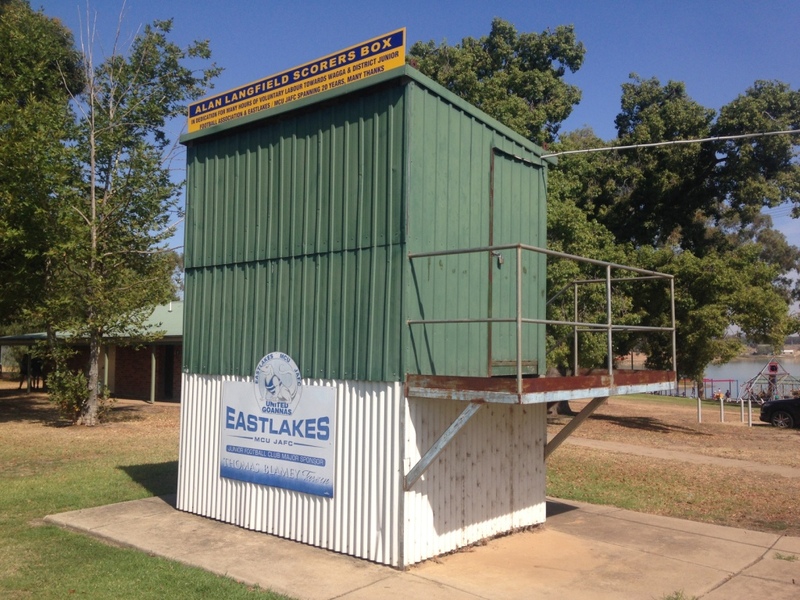 A decent size kick for goal at the southern end would see the ball needing to be retrieved from the neighbouring Lake Albert Public School. This ground holds a special place in my heart not only for its simplicity but for the memories it evokes. Memories of cold Sunday mornings lining up for East Wagga-Kooringal Under 9s against the Goannas and staying for the whole day to watch my brother play in the Under 13s. Memories of hot pies and chips being sold out of the back of Lake Albert Hall. 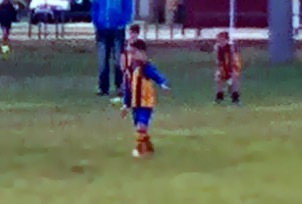 Memories of the simple joys of junior footy. It was on this ground that I took my first of a handful of career speccies. My memory of it is almost certainly far removed from reality, but I imagine myself as a sort of 10 year old Gary Ablett sitting atop some poor blue and gold-clad sod, as I plucked the ball cleanly from the air with both hands. The junior club, as seen in the club emblems on the interchange shelters, has the name reversed. Only in bush footy do you get to see long and unwieldy names like this. It is just one facet that adds an immeasurable amount of charm to the game. A couple of weeks after I took these photos another chapter was added to the Pinn family’s relationship with Apex Park as my nephew, Manni, pulled on the brown and gold of East Wagga-Kooringal for his first Auskick game. 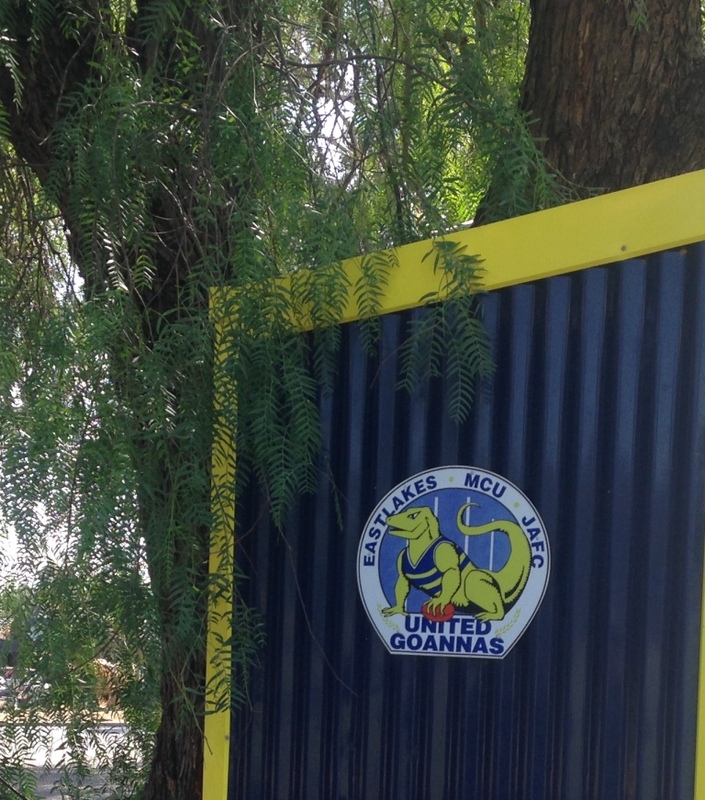 He became the first of a third generation of the family to play for the Hawks and he did it at this ground against the Goannas. By all reports he showed all the skill, poise and pace made famous by his grandfather and two uncles during our time with the club. I hope that his young life is filled with the sort of experiences that provided me with such great memories. As for the scoreboard at Apex Park it looks, at first glance, to be nothing special. Another tin shed on stilts. But then you look up and you see the sign about Alan Langfield and his dedication to local junior footy. Without people like Alan Langfield – and there are hundreds, if not thousands, of people like Alan – there probably wouldn’t be any junior footy at all. Anywhere. Josh Pinn is a footy blogger and podcaster at The Footy Gospel. He is Scoreboard Pressure’s Riverina correspondent.